You've probably never heard of Jorge Bucay. He is gestalt psychotherapist, psychodramatist, and writer from Argentina. His books have sold more than 2 million copies around the world, and are best-sellers in Spanish-speaking countries. As a very well-trained professional in his field, Jorge Bucay believes every person is capable of emotionally healing themselves, and that we are built to share, not compete. The beginning of that process, he claims, is to look deep within ourselves. His writing and stories use colloquial language and parables as therapeutic tools that hopefully will cause a reader to reflect on their behavior and reasoning as they function in society. His "26 Stories to Make You Think," (26 Cuentos Para Pensar) is meant to help you expand the horizons of how you think and help you better understand yourself through the story, as parables have always sought to do. A few you've heard in other forms like his "A Story About Love," (which is a re-telling of"The Gift of the Magi" written by American short story writer O. Henry). Perhaps most of them are repackaged, I don't know, yet they still merit reflection. My favorite of the 26 is "The Doorman at the Brothel." There was not a job in the small town worse regarded and paid as poorly as a doorman at the local brothel. But what else could the man do? The fact was, he'd never learned to read or write. He had no trade. The reality was that he had the job as had his father, and his father's father. It was a job passed from father to son. One day, the owner of the brothel died. A younger man took his place and decided to modernize the business. He renovated the rooms and brought the staff together for new instructions. To the doorman, he said, "Not only do you need to serve as the doorman. Once a week you will also need to prepare the payroll report since you know how many people enter and leave the brothel." The doorman trembled. I'd love to do this for you, senor, but I don't know how to read or write, he said. The owner apologized. He said he could find a doorman who could. He couldn't wait for him to learn and let him go. "But señor, said the doorman," What will I do?" The owner said, I'm sorry, we can give you a small compensation, but otherwise, there's nothing I can do. Good luck. And with that, he left. The man felt his world had crumbled. He never dreamed he'd find himself in this situation. What was he to do? He remembered at the brothel sometimes a bed or clothes cabinet would get broken. With a hammer and nails, he could repair it temporarily. He thought this might be temporary work he could do until someone offered him a job. He looked through his house though, and all he found was rusty nails and pliers. He needed to buy a complete tool kit. To do this, he would have to use part of his dispensation. He soon realized that his town had no hardware store. It would be a two day trip by mule to the nearest one to make the purchase. What else could he do? So he began his journey. He came back with a beautiful set of tools. He was just taking his boots off from his journey when there was knock on his door. "I came to see if I could borrow your hammer," said the neighbor. The doorman said he had just purchased the hammer and needed it to find work until he could find a job. "But I'll return it early in the morning tomorrow," promised the neighbor. The doorman said okay and loaned him the hammer, but the following morning the neighbor was again at the door. He still needed the hammer, he said, why not sell it to him. "Look, said the ex-doorman, I just bought it. Moreover, I need it to earn some money. I still don't have a job and it's a two-day journey to buy another one." Why don't we make a deal, said the neighbor. I pay for two days travel there, and for two days travel to return plus the cost of the hammer, more than you'd make in that time with your tools. In reality, he said, you'd be paid for four days work. The ex-doorman accepted and mounted his mule. When he returned, another man was already waiting at his home. "Are the man who purchased the hammer for our neighbor," he asked? "I, too, need tools and will pay you for four days of travel and pay you for the use of your tools while you're gone,' he said. Again a deal was made. The ex-doorman thought that it appeared that many people didn't have four days available to ride to the next town for purchases. Many people needed someone to buy items for them at the distant town. The next day, he scratched together what was left of his dispensation, this time buying more tools than had been ordered, to save him future trips. When the word got around that he was making these trips, he discovered many people wanted to avoid the trip, and once a week he made the trip to make their purchases for them. Finally, he began to realize that if he had a small shop, he could store the tools he'd purchased in advance of need. He would save on trips and save more money. He bought a small barn. Over time he improved the entrance and bought some display shelves. The town had its first hardware store. Everyone was happy and went there to the point that the other village's hardware store also made purchases from him. People from further and further away came to buy their tools from his store. One day a friend of his realized he could forge the heads of the hammers that the ex-doorman was riding to the distant town to purchase. Why not? And before long, his friend was making the store's hammers, plyers, and chisels. After 10 years of honest work, the ex-doorman became a multi-million-dollar manufacturer and seller of tools, the largest in the region. He became so successful that he decided to donate the money to build a school in his town. The mayor organized a huge celebration dinner to honor the successful industrialist, at which he was given the keys to the city. The mayor embraced him and with great pride, asked the donor to the new school to sign the first page of one of the school's books. "I would be a great honor to sign it," said the industrialist, "but I don't know how to read or write." "You?" said the mayor incredulously, "How can that possibly be! You've built an industrial empire without knowing how to read or write! I'm astounded! Given what you've accomplished illiterate, have you ever wondered what you might have been had you known how to read and write?" "I know exactly how to answer that", said the industrialist calmly. "If I'd known how to read or write I'd be a doorman at a brothel." Parables have become out of fashion in our society and that's too bad. For several days, I thought about this story and how to interpret it, what it meant, something I'd not done with a story in quite awhile. I'd tell you what I came up with, but as Jorge Bucay instructs us in another of the 26 stories, "El Maestro Sufi," that would be like not only offering someone fruit but also offering to chew it for them too. Next up: On to Guadalajara for a look at the city and it's healthcare system. Most recent: I asked our "If Only I Had a Place" representative in Puebla Mexico to tell us about his city and the Matador Network's article "25 Lies Every Person from Puebla Has Told at Least Once In their Lives," and as it turns out, they are right! 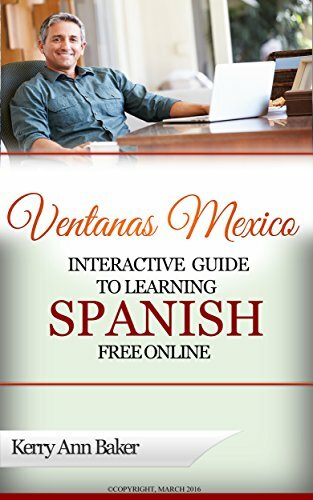 Kerry Baker is a blogger and author of two books, "The Interactive Guide to Learning Spanish Free Online," is a curation of the best free online learning tools on the web, including lesson plans by level. The book takes you directly to the features via interactive links. Use it with your laptop, e-reader or tablet (like the Amazon Fire). Books are heavy. The Guide is the way to go! (I love my Acer Aspire; lightweight, elegant and slim for carrying in a suitcase). 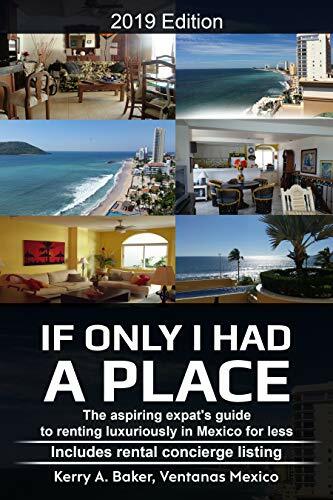 "If Only I Had a Place," is a guide to renting in Mexico, luxuriously as an aspiring expat. It offers more than advice; it offers a system, a foundation for the richest, safest and most economical expat life. Included is a list of rental concierges who can preview your rental in any of the most popular expat cities.